ELECTRONIC SAVIORS IS EXCITED TO START WORKING ON THE 6TH VOLUME OF INDUSTRIAL MUSIC TO CURE CANCER: REFLECTION. We are officially taking submissions for volume 6 until JANUARY 2020. As this is a huge undertaking, we would appreciate if artists could follow the guidelines for submitting tracks as closely as possibly. -Songs must be 100% exclusive. Brand new songs are preferred over remixes of existing songs and will take priority when the compilation is being assembled. A contract will be sent to you if your track is accepted to ensure exclusivity. We have had experiences with bands releasing their tracks after the compilation comes out. We would like to avoid that. -No cover songs will be accepted. -If your track is accepted, you will be required to sign a Grant of Rights form that allows us to manufacture your track. You will receive a letter regarding this in FEBRUARY 2020. -Please do not send multiple versions of your song. Send the finished and best, unmastered version only. -There is no time limit but the average time is around 4.5 minutes. -Tracks must be in 16 bit wav or aif, unmastered. -Please name the file with the full artist name and track title. -Do not send tracks to Jim directly or through facebook. Its much better if they are all in the same place. - To submit email us a link to contact@electronicsaviors.com with your track stored on any file transfer service of your choice, as well as the information requested above. We will download them as they come in, and we cannot wait to hear all your wonderful music! we lose someone close to us, it fills us with a void, an emptiness. We try to move on in the best way we can. Sometimes we throw ourselves into the things that we love most. One of those passions is surely music. Metropolis Records and Distortion Productions are proud to present the fifth volume in the critically acclaimed Electronic Saviors series, Remembrance. Cancer survivor and industrial scene promoter and DJ, Jim Semonik has once again joined forces with longtime friend and collaborator, Chase Dudley (boxed warning) to bring together bands and artists from across the broad spectrum of the industrial scene to create this massive compilation album. Tracks by coldwave and industrial rock greats, Pig, Mindless Faith and 16Volt share the space with newcomers FIRES, Esther Black and Encephalon. The tracks range from the club friendly future pop of Ashbury Heights to the tribal stylings of Stoneburner to the dark electro of Ludovico Technique and Red Lokust. Once again, the diversity of the industrial scene is on display for all to hear. The 70 track, 4 disc comp with be available digitally from Metropolis Records while the 6 CD, 105 track Premium Edition will be available is a strictly limited edition boxset of 500 copies available at Distortion Productions' website, www.distortionprod.com. The Premium Edition will include all 6 physical discs, wristband, Bumper Sticker and Autographed Postcard. There will also be, for the first time ever, an Electronic Saviors comic book with companion soundtrack sold separately. More details on that will be released closer to release date. Everybody has lost someone to cancer or knows someone that has. Listen to this album and let them live on in your memories. Let us give our lost ones the Remembrance they deserve. Electronic Saviors: Industrial Music to Cure Cancer is a project the was born in 2008 when industrial scene promoter, musician and dj, Jim Semonik was diagnosed with a very deadly form of stage 2B colorectal cancer. Through an intense regiment of chemotherapy, radiation, and surgery by top doctors, Dr. David Medich, Dr. David Parda and Dr. Dulibh Monga, Jim beat the disease and created one of the most talked about projects in the current industrial scene. After Jim got sick and went through all of this, he had the idea to unite everyone he had ever worked with, promoted a gig for or knew through his day job as a record store buyer. The result was a massive outpouring of music from 83 artists from all over the world. 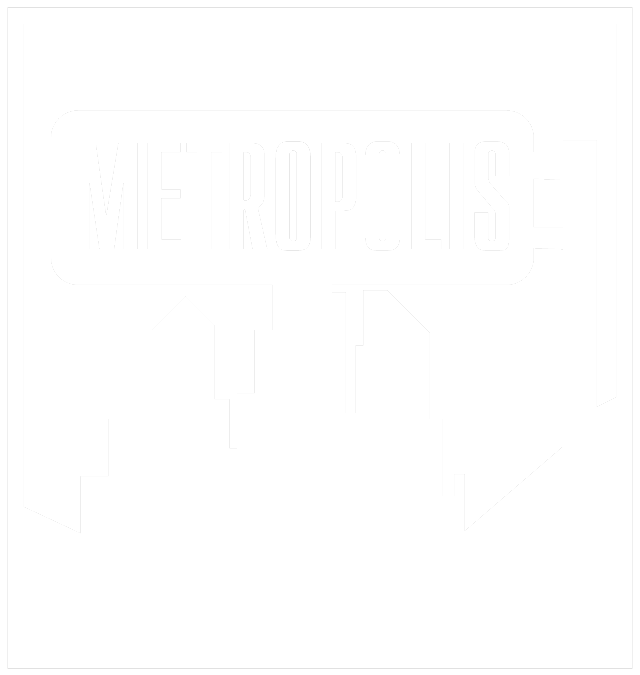 Metropolis Records, based in Philadelphia, released the compilation in February of 2010 which was 4 discs and included a drop-card for a digital 5th disc. Jim enlisted the help of long time friend Chase Dudley to help him co produce the project. Electronic Saviors was highly successful and sold out of it's physical version and is now a collector's item. The money raised was a staggering 23 thousand dollars and was donated to the Foundation for Cancer Research and Wellness near Harrisburg, Pa.
After the success of ES1, Jim decided to get started on the sequel which brought even more international attention. Jim chose 2 new charities to donate to: Gilda's Club of Western PA and The Bone Marrow Foundation. The focus on this volume was Recurrence. At that point, Jim had been clear of cancer for 3 years and feared it returning so it made sense to make this the central theme of the album with each disc named after a different stage of grief based on the Kobler Ross model (which can include up to 8 stages). The response was tremendous and 142 acts, some of which came back from volume 1, came together for the cause. The comp grew to 6 discs. Jim and Chase decided to do a Premium Edition which included 2 extra discs of lesser known, unsigned talent and released it on their own label, Distortion Productions while Metropolis once again handled the main 6 disc edition. So a massive 8 cd box was born in May of 2012 and they went on tour to support it hitting many major towns including an appearance at the Kinetik Festival 2012 in Montreal. Release parties happened in many major towns with Saviors bands playing live set. ES2 generated an additional $15,700 in donations and brings the grand total raised to nearly $39,000. Jim was declared cleared of cancer in September of 2013 and all the while was working on volume 3 entitled Remission. More artists jumping on board to be a part of this cause brought the total of artists for the compilations to over 230. A 4 disc set and Premium Edition was released June on 10th, 2014 on Metropolis Records and Jim's own Distortion Productions. 6 discs in total, Remission completes Jim's story as a cancer survivor trying to help prevent others from sharing the horrible fate that cancer causes. Jim wishes to continue on with the Electronic Saviors series to tell other's stories and release a new volume every 2 years because, for him, the battle never ends. In fact on June 10, 2016, Electronic Saviors will unleash Retaliation. The 4th volume in the ES series. Jim's army of fighters has expanded yet again as we welcome KMFDM, Seabound, En Esch, Encephalon, Cenotype, K.P. Riot Brigade, Blownload, Ghostfeeder, and so many more to the fold. Jeff Confer and Sam Johnson once again stun us with amazing artwork. Another 4 disc set and Premium Edition are on deck and you can order it right here!! !